In 2001, Oliver Vodeb, then a postgrad sociology student at the University of Ljubljana, Slovenia, approached four other student friends who shared a radical critique of the existing design and media landscape. And so Memefest came into being – an international student festival for ‘idea dissemination’ in its first iteration, and now an events and publishing program, a friendly competition program, and a creative collective of artists, designers, communicators and educators focused on socially responsive communication design and art. Based in Slovenia and Australia, Memefest’s reach is worldwide, due in part to a membranous network of collaborative contributors from across the globe interrogating the questions: what is good design, and what good does design do? Memefest 2014 poster: Rok Klemencic, Alana Hunt and Oliver Vodeb. Let’s start with a look at your own practice. What skillset and curiosities do you bring to Memefest? My background is interdisciplinary. My PhD is in the sociology of communication design, advertising and media, and my work connects these areas. Mostly I operate as creative director, and the preferred visual language of my communication design practice is photography in combination with graphic design. I am also a writer, researcher and educator. I have co-directed my own communication studio, Poper, for seven years. My past work ranges from select advertising projects, public interventions and a wide range of graphic design projects, to a presidential campaign for ex-Slovenian Finance Minister Mitja Gaspari, which shifted political communication from commercial branding, to dialogue work for major national art and cultural institutions, as well as the first peer-to-peer production-based open source fashion brand. Memefest’s Friendly Competition doesn’t award winners, but instead appoints curators who gather a number of entered works. What is the thinking behind this model? I had been observing and studying festivals and competitions and I saw their power. In principal, they are mechanisms that create frameworks of values that define what ‘good design’ is, and what ‘good advertising’ is. The process [we use at Friendly Competition] is more formative than selective, aimed at collaboration, and its public nature creates a very different culture of knowledge-production and development of frameworks of what is considered ‘good’. The connection might be more obvious in advertising than design, but competitions in both areas are obsessed with how to design (design and advertising) instead of with what design and advertising do in the world. Sure, we have competitions that measure effectiveness of advertising, but to measure effectiveness only on pure economic terms (which is what happens) means we are reproducing the fundamental wrongs of a culture of un-sustainability. Communication design, even in the area of ‘social design’ or ‘design for social good’, is in this sense largely the same – basically nurturing a culture of ‘designing blind’. Fundamentally, both still operate within the ideology of the neo-liberal market. I will give you one simple example: how do we describe the audience with which we are communicating? Let’s say the brief is about human rights, or health, or saving penguins; we call the audience the ‘target market’ or ‘target audience’. And how do we describe the act of transmitting between the designer and the audience? We are talking about ‘buying and selling an idea’. Now, ‘target market’ and ‘target audience’ are military language. Calling our audience ‘consumers’ when it comes to designing social themes shows which lens we are using when designing. This logic is deeply ingrained within design thinking, practice, our educational culture and, of course, the industry. There is a lot more to say about this, but basically design and advertising have historically come to an evolutionary point where their own limitations are fundamentally contributing to an unsustainable world. Memefest was designed with all this in mind and in the last (almost) 15 years it has been developed into an alternative mechanism that researches, nurtures, rewards and educates forms of communication design that work on different principles, which we call socially responsive. Our curatorial concept does not produce winners (and losers) as we feel this is a fundamental logic of capitalism, which we don’t want to reproduce. We curate a number of works, which are high in quality. The authors receive pubic written feedback from curators with different background who address the works from different perspectives. Our curatorial process in this way ensures that the richness, complexity and contextual nature of design is addressed and not reduced. In order to understand the curated works, one needs to consider the author’s concept and curatorial comments together with the design work. Memefest 2013 poster: Rok Klemencic and Oliver Vodeb. You speak of understanding the existing paradigms of design and changing them; could you give an example of a pattern you’ve identified as needing an alternative framework? Let’s have a look at advertising. Research shows that advertising is considered one of the least trustworthy professions in society. Historically, it has always struggled with people’s strategies to avoid it. 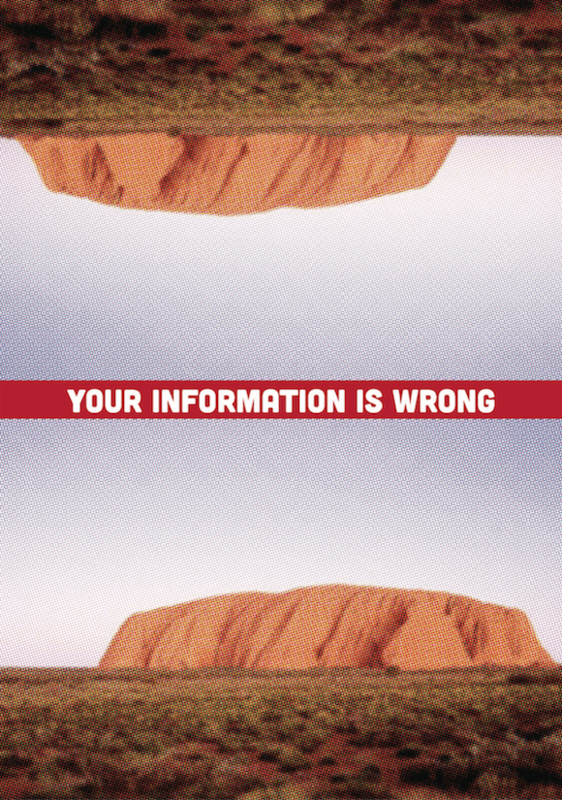 The answer was usually more advertising, which just amplified the problem. This is also the reason for the latest evolution in advertising, which is becoming more data-based and less image-based in order to become less obvious and harder to avoid. This is the approach of Facebook, the biggest advertising medium in history and the reason for the success of its business model, based on hidden data-mining, surveillance and free digital-labour of everyone who posts anything on Facebook, as this is the content off which Facebook extracts and monetises data. But the Facebook culture is only one trend; let’s call it ‘hidden-advertising’. The second trend is its opposite and is based on transparency, dialogue, collaboration and participation. Its market is immense in size, but aims towards different principles. The documentary The Naked Brand has done quite a good job in showing these developments. The interesting thing is that the open trend will be fuelled even more by the hidden trend, because Facebook culture and its deep underlying logic creates its own opposition, which because of the market logic becomes its competition. Those advertising actors who will understand and embrace this are the next big winners, and design, with its potential for innovation, will play a crucial role in this development. Memefest is engaged in several aspects of the paradigm change process: education, research, publishing, community work and public interventions. Its friendly competition co-creates frameworks of criteria and awards authors whose work and engagement contribute to a paradigm change. Our work, however, is not focused only on advertising, but on a larger area of communication design and art. How has Memefest been embraced by the design community? Have studios jumped on board, or has it been difficult to get industry involved? The wider design community responded strongly in the sense of designers participating in the festival’s friendly competition process. We have received works from more than 60 countries. 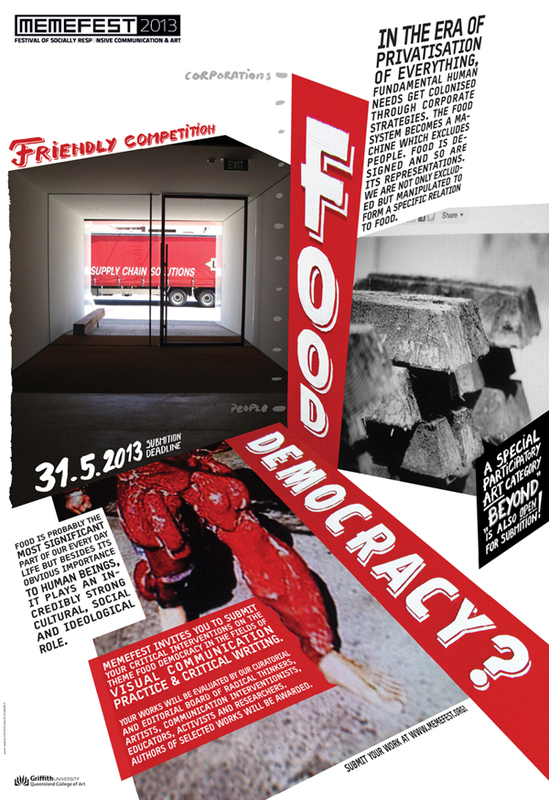 We like to work with people who have integrity and are interesting to us like Alex Jordan, member of legendary French design collective Grapus, or Sonic Youth’ s ‘in-house designer and videographer’ Chris Habib, or Zdravko Papic, whose design work played a very important role in the process of Slovenian independence. Throughout the years we have worked with dozens of amazing people. Leading Slovenian commercial studio Gigodesign designed the identity for our socially responsive advertising competition category, Scream. Through time we have developed a close relationship with some amazing design studios outside Slovenia like image-shift from Berlin, Inkahoots from Brisbane and LOKi Design from Montreal. All of these studios are different, ranging from mainstream to alternative professional, to activist driven to design/art/activism studio. All of them somehow challenge the classic commercial service-providing model – be it by educating the clients they work with, being embedded in social movements or having quite a strict ethical policy of how to select clients. The relationship between Memefest and such studios is one of mutual interest, collaboration and many times critique and friendship. We can learn a lot from each other. 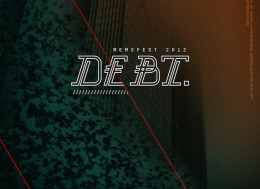 Memefest 2010 poster: Design by Inkahoots, photography by Oliver Vodeb. Have you had any surprising support? We were receiving funding from the city government of Ljubljana and Ministry of Culture in Slovenia. We have been collaborating with advertising agency TBWA in Slovenia, which sponsored the special competition category called Scream, which was dedicated to socially responsive advertising and the first of its kind. The first Memefest website was made pro bono by the Slovenian ad agency Pan. 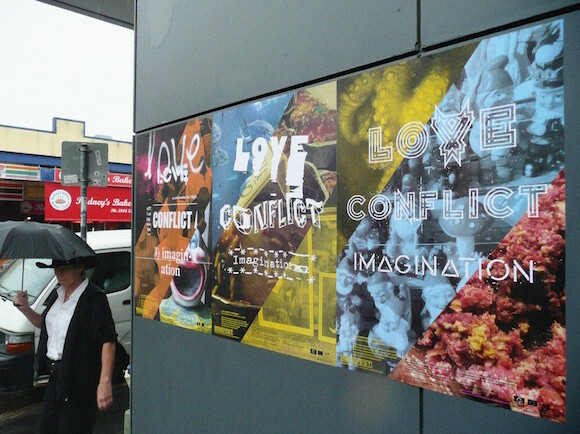 Both Pan and TBWA Slovenia were open and interested in a critique of advertising and the development of an alternative advertising and design scene. We have received large funding from EU grants and substantial funding from Swinburne University for innovative research and learning projects organised at Swinburne. Griffith University funded our activities at Queensland College of Art. Academics and academic institutions benefit from involvement with radical social movements, it is them who are many times truly innovative and original. At the same time, knowledge that exists at universities can strongly benefit social movements. It will be crucial for the design industry to collaborate more with research in the future if it wants to shift towards social innovation. There are of course different motivations for funding a project like Memefest. And sometimes we were caught by surprise. In time, however, we learned there are many people out there who are interested in innovation for social change. 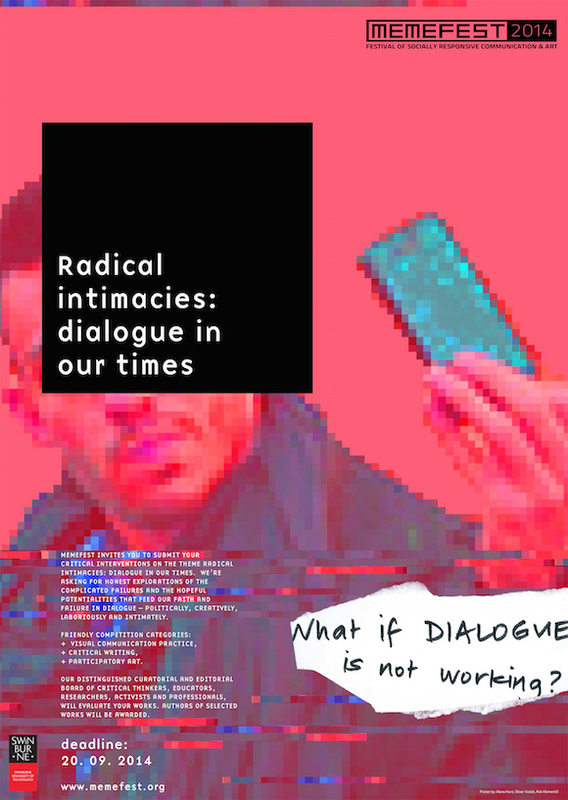 Memefest / Swinburne Radical Intimacies: Dialogue in Our Times workshop. How does your role as an educator motivate you to create a better, stronger, more ethically-minded design community? Education, in my opinion, should foster a critical, independent individual and as educators we have the responsibility to contribute to a sustainable world. The difficulty is that the majority of design programs largely provide a skills training instead of an education. Here again we have a culture that is mostly concerned with ‘how to design’ instead of with ‘what design does’. A good recent development is the tendency to develop more interdisciplinary approaches to design education, but bridging different disciplines is difficult and requires not only knowledge on how to do it, but also a institutional culture that truly enables dialogue and collaboration. It’s a big challenge. The main thing in my opinion is to shift from the understanding of a designer as a ‘service provider’ to an understanding of the designer as a practical intellectual capable of ‘response-ability’. Therefore, design education has to necessarily embrace a process of institutional critique of design as a profession and discipline. It is fascinating how in communication design so-called ‘design practitioners with industry experience’ think they know what design is while academics don’t. To an extent this situation is perpetuated by the universities themselves, which try to mirror the industry in order to produce ‘industry-ready’ students instead of realising their unique role and position in society and to make use of their true potentials. Is the design industry so perfect that we should just mirror it or is there some space for improvement? I would argue that there is space for improvement and the industry needs to make much more effort to build relationships with the university, while the university needs to get rid of the dominant designer-as-service-provider model and educate practical intellectuals – considering the state of capitalism, the global economy and our environment, we will do ourselves, our students, our children and the discipline of design a big favor. This article first appeared in the October 2015 issue of desktop. Subscribe to the magazine here. The Create Awards: how do we select the winners?